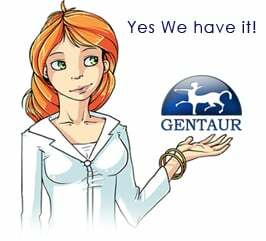 Gentaur antibody-antibodies.com The Marketplace for Antibodies : A bifunctional bacterial protein links GDI displacement to Rab1 activation. Rab guanosine triphosphatases (GTPases) regulate vesicle trafficking in eukaryotic cells by reversibly associating with lipid membranes. Inactive Rab GTPases are maintained in the cytosol by binding to GDP-dissociation inhibitor (GDI). It is believed that specialized proteins are required to displace GDI from Rab GTPases before Rab activation by guanosine diphosphate-guanosine 5'-triphosphate (GDP-GTP) exchange factors (GEFs). Here, we found that SidM from Legionella pneumophila could act as both GEF and GDI-displacement factor (GDF) for Rab1. Rab1 released from GDI was inserted into liposomal membranes and was used as a substrate for SidM-mediated nucleotide exchange. During host cell infection, recruitment of Rab1 to Legionella-containing vacuoles depended on the GDF activity of SidM. Thus, GDF and GEF activity can be promoted by a single protein, and GDF activity can coordinate Rab1 recruitment from the GDI-bound pool.